Roger Taylor was fortunate enough to be an Undergraduate in London in the 1960s. 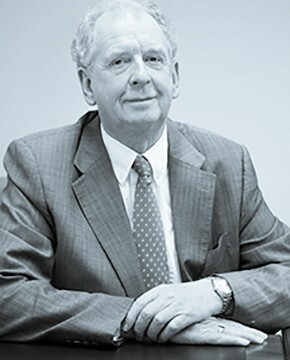 After teaching English and History for four years, he entered the financial services industry in 1971 and founded Cambrian in December 1973 (as Cambrian Investments). A commitment to client service and seeing people through to the achievement of their financial goals means that clients from 1970s are still being advised, as are their children and grandchildren! Roger is married to Norma with two children, Sally and Jack and five grandchildren. A fanatically hard worker, his ambition is to ensure that Cambrian is passed safely into the hands of the next generation, continuing to offer the same high standards of advice and service. Roger loves most sports (particularly football) and is fanatical about physical and mental fitness. Roger and Norma are devoted to their family and dogs. Since a life threatening accident in 2011, Roger has no longer been advising clients but he is still running Cambrian and making sure that high standards are maintained and growth continues. With more spare time, he and Norma are spending a lot of time with their grandchildren and seeing the world.